If you are looking for December inspiration to do up your home, stay in, entertain or be by yourself and your own sense of comfort, here is a December mood board to help you get into the mood! 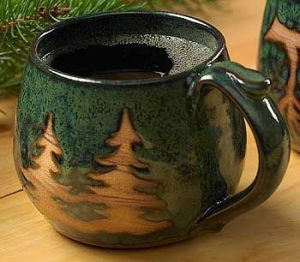 Stoneware: My top December mood picks would have to revolve around all that is earthy. Coffee mugs, soup bowls, soup tureens, plates for steaming heapfuls of pasta, and stone serve ware – my table is full of December mood making stone ware in neutrals. 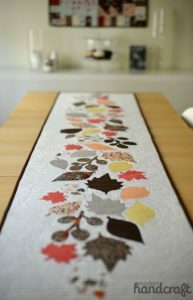 I am in love with patterns spilling onto these pieces in the form of falling leaves, firs, and more. The pottery style ware is my absolute favourite this winter! Candles: What is the fun of staying indoors if you do not indulge in some mood lighting? Take your December mood to a whole new level with candles and fairy lights. 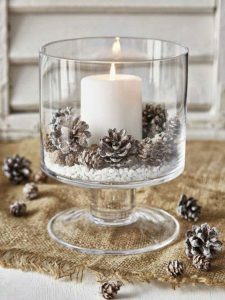 Try pine infused candles in glass votives and place some scented oil in an oil burner with a candle beneath. If you are missing Spring and Summer, you may want to bring some elements of these seasons, home. The December mood board has plenty of space for fresh scents like lavender, jasmine and much more! Runners and Mats: Take out those table mats and runners to layer your tables and add some December zest to your December mood board. My favourite picks include bright pieces in a Christmas red and emerald green to off set the neutral tapestry that I otherwise turn to. Crisscross the runners and layer with mats for an oh so comfortable vibe! 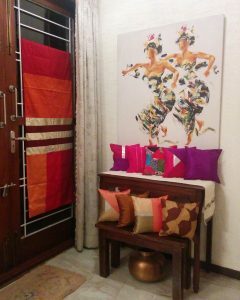 Turn to patchwork pieces for a homely effect and work in pieces with burlap or flannel applique and woolen weaves to layer. 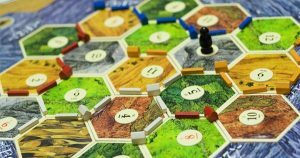 Board Games: Staying in and feeling blue about it? Call some people over and pile those board games on the coffee table. Throw some floor cushions around and you are all set. While you are at it, do not forget to give your guests some throws to keep themselves warm. My favourite thing to do is to leave the curtains open so that I can watch the skyline while we all have some fun – cheery and sedate at the same time! Say it with Cushions: My December Mood would be incomplete without lots of cushions for easy snuggling while I indulge in movie marathons! Choose luxe pieces in easy to maintain art silk, which look festive and counter the neutral hues of the rest of your upholstery and furniture. Leaves and Ferns: Take fern stalks and leaves if you do not find fresh flowers. 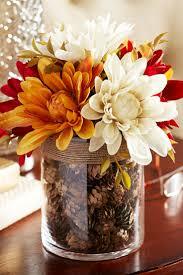 Place in pretty jars and vases for a lively effect. Just because winter is here, does not mean you have to let go of greenery! I once layered a clear glass jug with pine cones dipped in gold paint. And I stuck some fall leaves in them. The effect was mesmerising, colorful and attractive! 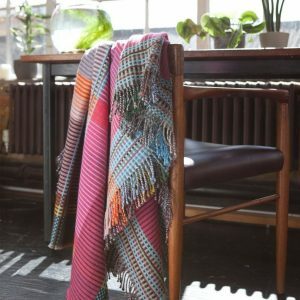 Scarves and Throws: Use scarves to drape over your couches and chairs for an unmistakable December mood. Choose to layer with gingham pieces and cable knit wonders. Pick hues that would be a dull version of the cushions and mats. This will contribute to a definite theme and create a wholesome effect! So get those scarves out of the closet and into the living room.